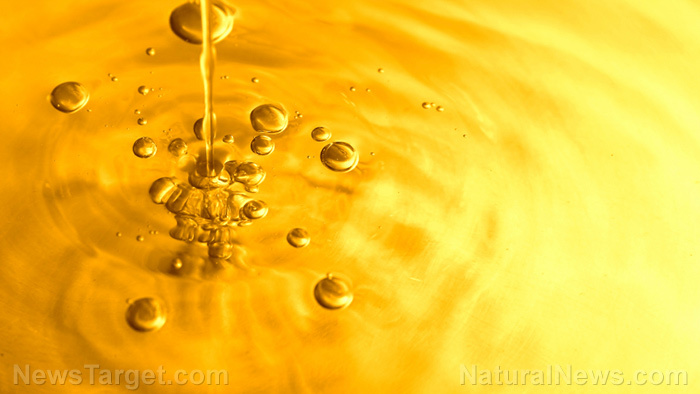 (Natural News) Canola oil may be marketed as a vegetable oil, but that doesn’t automatically mean it’s healthy. Few people know canola oil’s dirty secret: There is no such thing as a canola plant. It’s actually made from hybridized rapeseed. Rapeseed oil was once commonly used for industrial applications and in food — until the health problems associated with this oil became overwhelmingly apparent. In the 1970’s, hybridized rapeseed was “rebranded” as canola oil, to make it more appealing to consumers. Nowadays, canola oil is lauded for its purported health benefits; some organizations like The Canola Oil Council of Canada proclaim that it’s the “healthiest” of all cooking oils. Others advertise it as a “low cost” alternative to olive oil, but as studies now show, the two are not even close to being equal. Under the “anti-saturated fat” dogma of modern nutrition led by corporate interests, canola oil looks great — but it really isn’t. There are many reasons to avoid canola oil, even if it’s organic. And now, new research has just added to the list: Canola oil can actually affect your brain and increase memory loss. As it turns out, canola oil really isn’t a “healthier” version of rapeseed oil. Who knew? Researchers from Temple University investigated the impact of canola oil on brain health. Hailing from the university’s Alzheimer’s Center, the team looked at the effects daily consumption had on mice whose brains were exhibiting common signs of Alzheimer’s (plaques and tangles). As lead researcher Domenico Praticò, M.D., contended, “Canola oil is appealing because it is less expensive than other vegetable oils, and it is advertised as being healthy. Very few studies, however, have examined that claim, especially in terms of the brain.” His team’s research has served to change that. Mice who were fed canola oil daily showcased rapid weight gain; they gained one-fifth of their starting body weight in just six months. For reference, this would be equivalent to a 100-pound human gaining 20 pounds in six months. But the hazards of canola oil didn’t end there. Mice in the canola oil group also exhibited significant cognitive impairments. As Sayer Ji of Green Med Info reports, the rodents suffered a reduction in their working memory, marked by their decreased problem-solving capacity. In fact, the canola oil-fed mice performed substantially worse on all tests, across the board, when compared to the control subjects. Overall, it became clear that canola oil consumption was detrimental to synaptic integrity — which is essential for brain function and memory. Beyond the fact that canola oil is actually rapeseed oil hiding under a new name, there are a host of other issues with this “food.” The modified rapeseed used to make canola oil was one of the first products to ever undergo genetic modification, for example, and almost all canola oil on the market these days is a GMO product — which also means its been sprayed with all the pesticides and herbicides designed to go alongside GMO plants. And in order to transform rapeseed into canola oil, a substantial amount of processing is required. As reported, the process is not pretty. Further, the end result of all that processing is an oil likely contaminated with processing agents, like hexane.